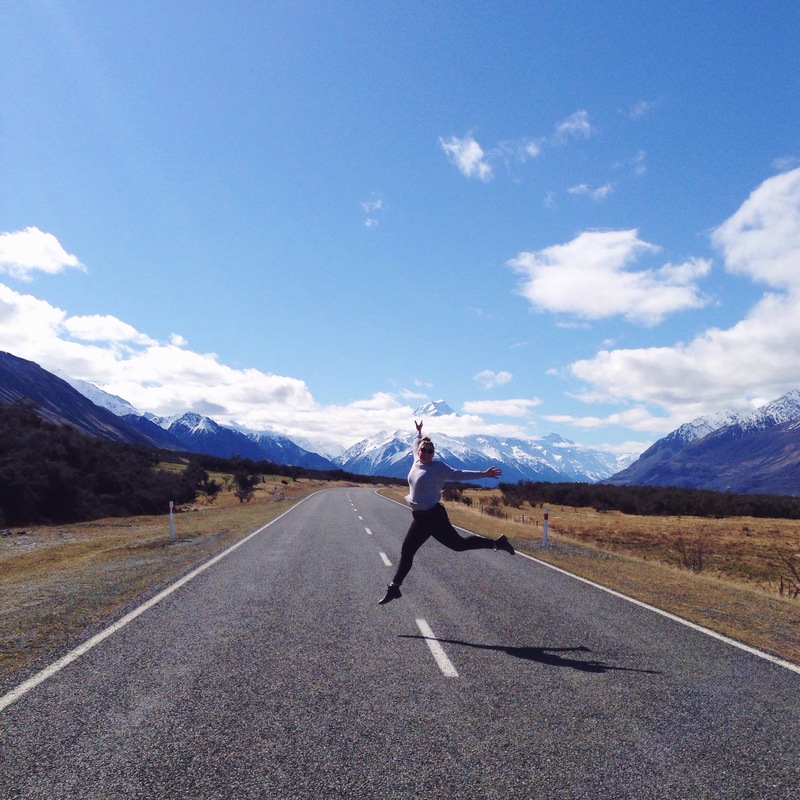 Everybody and their Grandmother hires a campervan or motorhome when they touch ground on the South Island in New Zealand. Whether it is a monstrous beast that puts Howl’s Moving Castle to shame, or a glorified trash heap that is more moving garbage can than car, there is a reason for this transportation trend. I believe that it can be summed up in one exclamation: “Let’s pull over!”. Everybody knows how glorious the scenery in New Zealand is. The mountains take your breathe away, the lakes look like someone went to town on the ‘saturation’ dial, and every turn of the road looks like it leads directly to the pearl gates of heaven. My long-suffering road trip pal got tired of me shrieking ‘Just LOOK AT IT” over and over again as if she wasn’t truly seeing the beauty of the place clearly lain out before her. With stunningly beautiful scenery comes the great responsibility of having to take a million pictures. You know, just to show everybody just how lucky and special you are to be on the South island of New Zealand. So before you know it, you’re stopping about as many times as your public bus does when your in a desperate hurry to get somewhere. 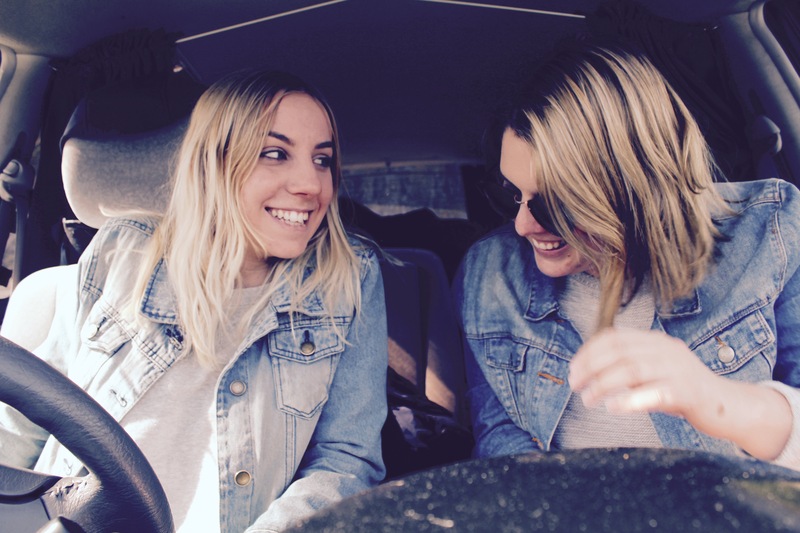 And when you’re in a campervan, thats no problem! There are a tonne of different companies in New Zealand that rent out camper vans and you will pass a couple of hundred on the roads everyday. The retro Hippie Campers, the Barney-the-Dinosaur coloured Jucy campers, the bright orange Spaceships, or the women-objectifying Wicked campers, there is apparently a camper for everyone in New Zealand (even mysogonists!). We went with the inoffensive but very orange, Spaceships. Not the cheapest nor the best appointed, their drawing point was that they allowed P-platers to drive their vehicles. 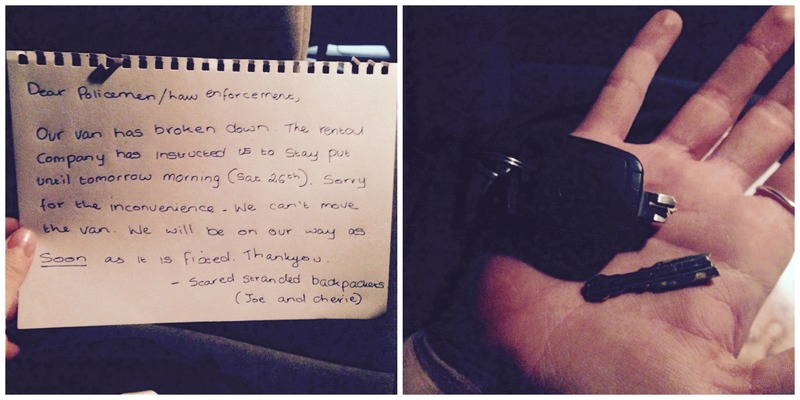 Lake Tekapo Carpark and the Key Debacle. 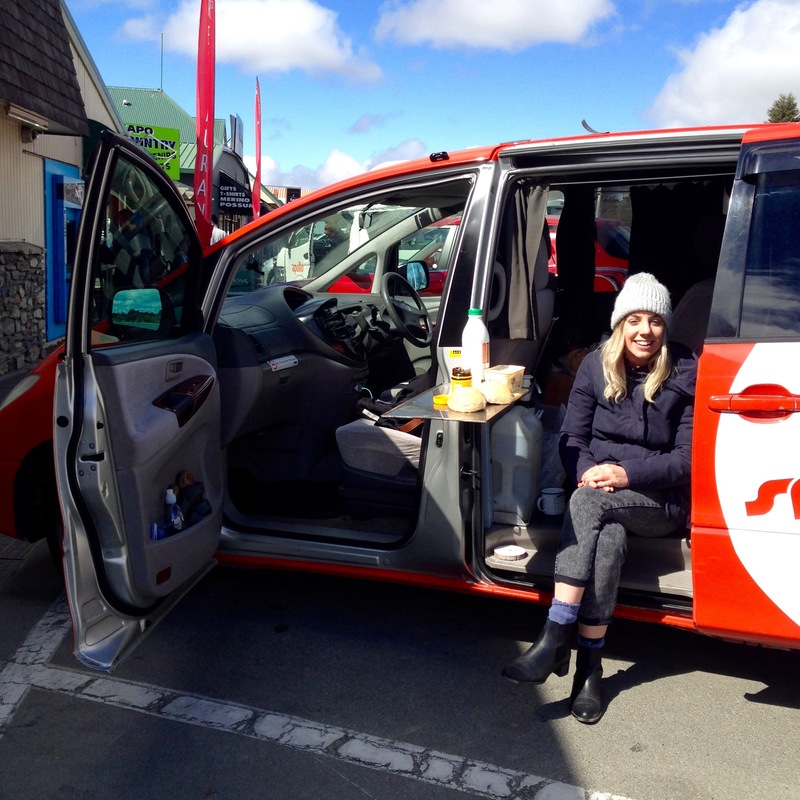 Trundling out of Christchurch, our first stop was planned for a forested lakeside camping ground on the shores of the gorgeous Lake Tekapo. 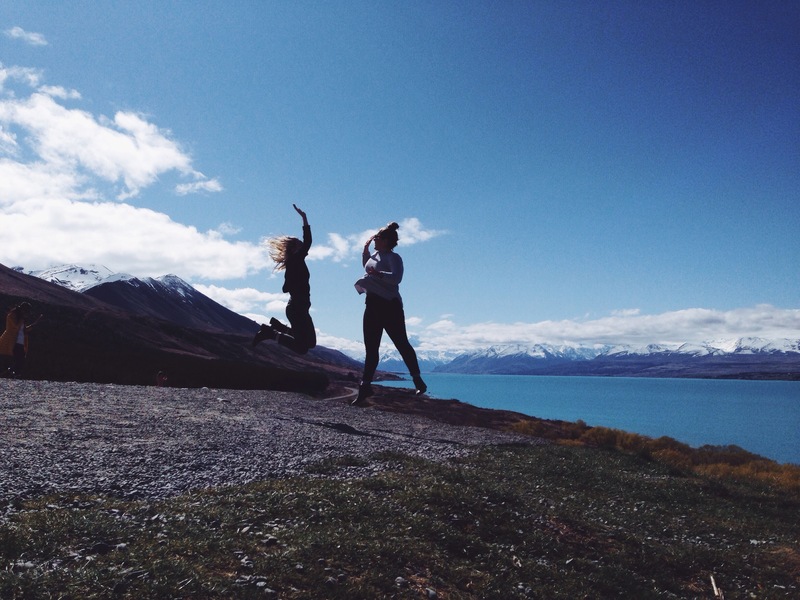 Ringed by snowcapped mountains and shining bright blue, Lake Tekapo is a very popular stop for both tourists and locals. A hill looking down over the town is home to the Mt. John Observatory which is a stellar spot to take in the stars. With minimal light pollution, Lake Tekapo is actually one of the best places in the world to crane your neck and take in the flickering stars and galaxies. That’s if you have a clear night, if its cloudy you wont see a thing. Pulling up at the main village at around 7pm, we thought we would just pop into the shops and get ourselves a cheeky Speights to celebrate our first four hours of successfully being the proud owners of a portable little home. Locking up the campervan, I noticed that the key was a little weird. A little bit.. bendy. Let me just say, there are a lot of things that I like to be bendy: a road, a yoga pose, or the plot of a mystery novel. And one thing that should never bend? A KEY. Not just a slight lean to the left or the right either, it was bendy to the point that the next time we tenderly opened the door to the van, the key fully snapped off into my hand. Mind you, this was around the fourth time we had even used the darn thing. And that is how we had to spend the first night of our road trippin’, don’t stop believin’ jaunt around New Zealand in the carpark of a shifty Lake Tekepo pub. Not a single pine tree in sight. Long story short, after 1.4 billion phone calls, tears, and minor panic attacks, Spaceships (and a lovely lad called Martin- I love you Martin) agreed to cover the $630 it cost to have a mobile locksmith to come and fix our broken key. Despite the rough start, the next day as we drove out of Lake Tekapo and headed towards the stunning area that was lorded over by Mt.Cook. 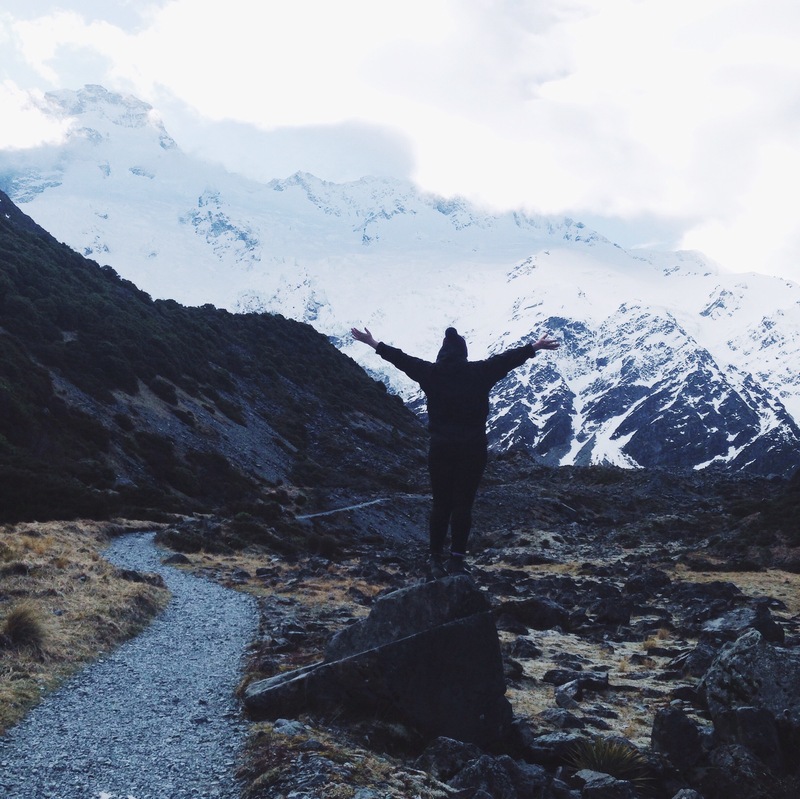 Picking up a couple of hangers-on, driving to Mt.Cook was an exciting journey made even more exciting by the fact that it was the first time we were truly exposed to the beauty of New Zealand. Giddy to be back on the road after a tense start, Mt.Cook’s frosty and overwhelming expanse had us straining our photo-clicking fingers. 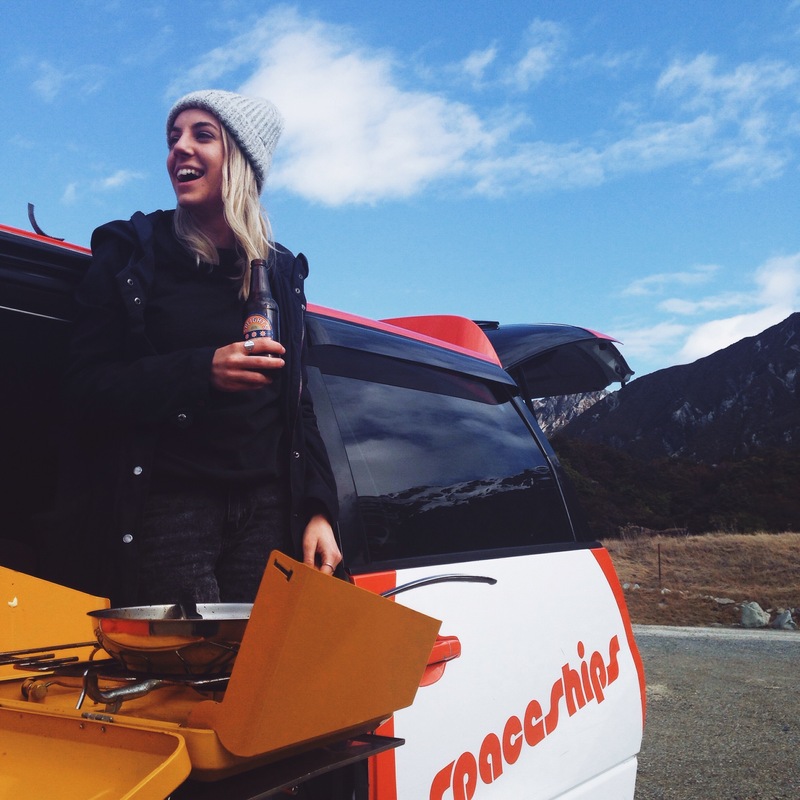 After a long day screeching and being excited at the beauty of the mountains, we turned around and drove back to Lake Tekapo to spend our first proper night in our little orange campervan. We froze our Australian butts off, cooked Fettuccine carbonara that had us swearing to never eat Fettuccine carbonara again, and passed out like fat burritos in our sleeping bag- so tired we didn’t even see the shimmering stars above us. Waking up and breaking camp the next morning, our plan was to chug along to Wanaka and find a free campsite a little way out to spend the night. Every twist and turn of the road had us gasping at its beauty. Liz from the Young Adventuress really hit the nail on the head with her descriptions of New Zealand’s hues of blue. The aquamarine shade of the lakes were only surpassed by the electric blue of the aqueducts. The sky was a cornflower blue, the glaciers a faded highlighter blue, and the lakes a mystical navy. Even the mountains took part in this blue colour scheme and were shrouded in a misty blue fog that made them look like shattered glass. 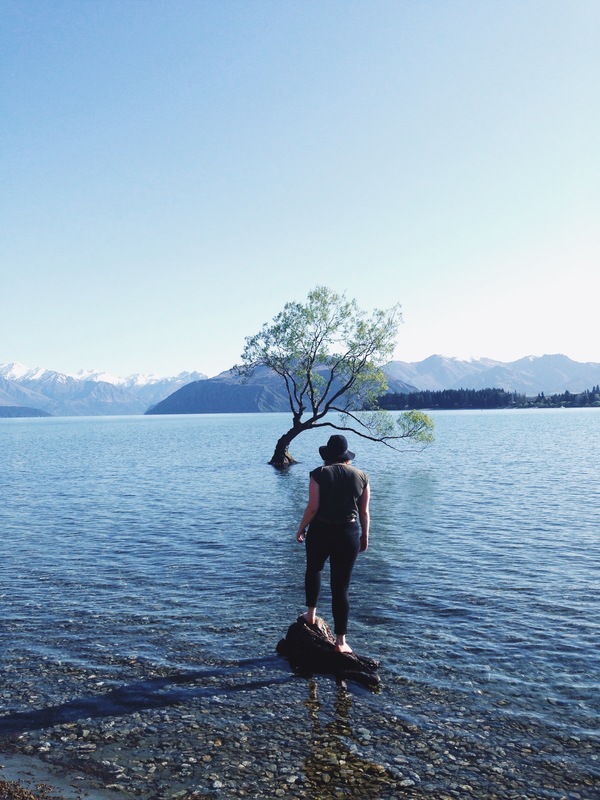 Driving into Wanaka felt like driving into a little town made up of entirely clued-on, lucky individuals. I imagine that most people passing through Wanaka would say something along the lines of “One day, I’m going to come back and live in Wanaka”. Most people would dream of spending summer kayaking across the lake and doing long hikes in the fresh air; for most people this would probably never eventuate. But for the lucky individuals that lived in Wanaka. Well, they lived in Wanaka. Lucky, the lot of them. Wanaka lake was no different and the gorgeous spring day had drawn a ring of people lazing on its gorgeous stoney shore. Asian tourists were delightedly getting mobbed by a swarm of seagulls, there was that one daring individual who was wearing a bikini whilst the rest were swathed in woolly layers, and chatter rose up from revellers drinking beer in the sunshine. Not willing to fork out $50 for a spot in the inner holiday park, Wanaka unfortunately had to be a quick day stop for us and we were pressed to move way from the privileged, happy people in search for a free campsite. The weirdo Wanaka campsite was neither in Wanaka nor was it that weird -just a little eerie! Now a wonderful thing about New Zealand is that there are free campsites maintained by the Department of Conservation dotted around the country. Often not more than a patch of grass and a toilet, these campsites are often quite packed with camper vans of all sizes and are a nice way to save money (that will soon be spent on petrol). This particular campsite was speckled with motorbeasts and a few vans, and had a beautiful lakeside view. A toilet with a tiny kiwi bird graffiti, a tumbleweed, and a sickly yellow light was the totality of the campsites facilities but when you have a camper van then thats all you really need. Look out for part two! 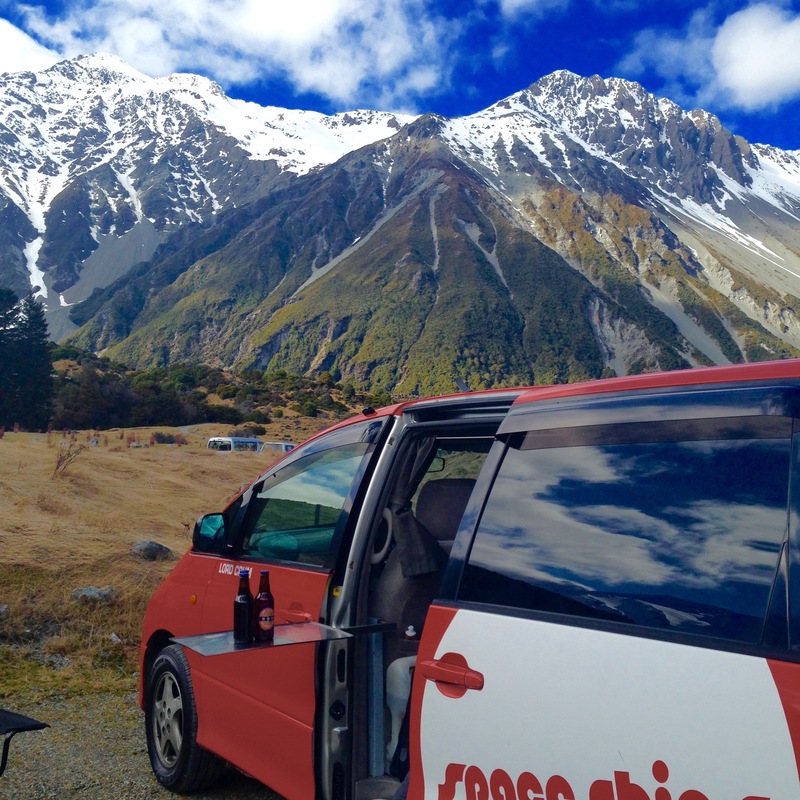 Have you been campervanning around New Zealand? Would you like to? Leave me a comment or email me at dirtypawsblog@gmail.com. Oooh, this is really bringing back memories of my time in New Zealand in 2010/11. And you really make me want to go back and explore more and spend more time camping. We had a car for the most part of our journey but we also were a group of four so we couldn’t all sleep in it obviously. I would love to have that kind of experience. Amazing photos as well! And yes, Wanaka is such a relaxed town. I saw it in autumn, also very pretty!